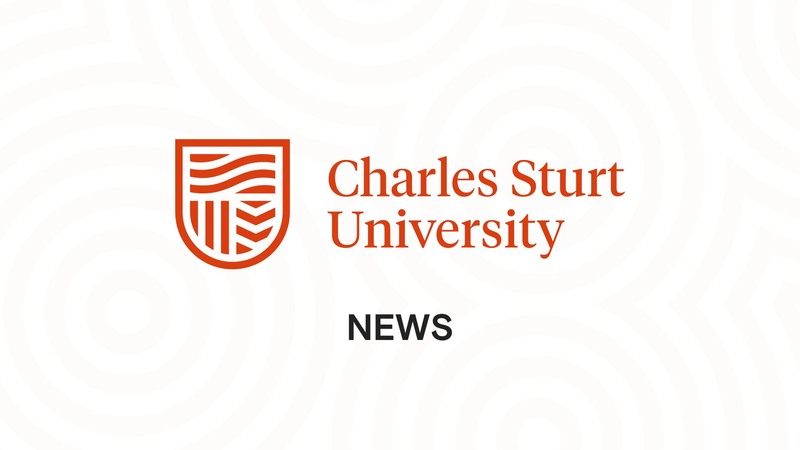 Charles Sturt University (CSU) will host three graduation ceremonies in Albury this week, Wednesday 19 December.These are part of the wider graduation season during December across all main campuses as well as in Parramatta and the two CSU Study Centres in Sydney and Melbourne. The season concludes in Albury-Wodonga.More than 370 students will be present to graduate across all the Albury ceremonies in Albury which are for graduands based at CSU in Albury-Wodonga. In addition, thousands of family members and friends will celebrate the achievements of these graduands.Head of Campus at CSU in Albury Wodonga, Dr Jennifer Munday said, “Over 370 graduates will receive their testamurs from the University in Albury this year, and we congratulate our graduating professionals on the successful completion of their studies.“Sometimes we can get caught up with the busy-ness of the end of the year, so it’s wonderful to be able to stop and take the time to reflect and congratulate the many students who are graduating, and celebrate their achievements.“Anyone who has completed a long-term project or achieved a long-awaited goal will understand the sheer joy and excitement of a graduate at the moment they shake the hand of the Vice-Chancellor and receive their hard earned testamur.“The testamur our graduates will receive at the graduation ceremonies is their key to future success. Not only is it an important marker in their lives, an achievement they should be proud of, but it will unlock new opportunities for them. For some it will mean a new career, for others it will mean they are one of many CSU graduates who will earn the highest starting salary of any graduate in New South Wales,” Dr Munday said.In recognition of their impact on their professions in regional Australia, three CSU alumni who are professional leaders and entrepreneurs will give the occasional addresses to graduates in all three ceremonies listed below. These graduation ceremonies will be held in the Albury Entertainment Centre, Swift St in Albury:9.30am - 136 graduates present in the Faculty of Science ceremony, from the Schools of Community Health, Environmental Science, Agriculture & Wine Science, Animal & Veterinary Sciences and General Science.Occasional speaker: Ms Leah Wiseman.2pm - 140 graduates present in the Faculty of Science ceremony, from the Schools of Nursing, Midwifery & Indigenous Health, Biomedical Science, Dentistry & Health Science, Exercise Science Sport & Health and Human Movement Studies; and from all schools of the Faculty of Business, Justice and Behavioural Sciences.Occasional speaker: Mr Ty Seaton, Chief Radiographer of The X-Ray Group.6pm - 96 graduates from all schools of the Faculty of Arts and Education, including the Schools of Education, and Humanities & Social Sciences.Occasional speaker: Ms Jo Palmer, educator, networker and business entrepreneur, based in regional NSW. * Innovative ideas from CSU-Hume Bank Life Tech Challenge 2018 have been invited to a CSU Bootcamp to advance business ideas* Challenge entries were judged on creativity, use of technology, and impact on people* CSU’s mission is to build skills and knowledge in its regionsCharles Sturt University (CSU) is hosting a weekend-long innovation boot camp for all finalists in the Hume Bank’s Life Tech Challenge 2018, starting on Friday 26 October.The Hume Bank Life Tech Challenge 2018 gathered innovative people who have an idea to improve a standard of living through technology.The CSU Innovation Bootcamp will be held at CSU in Albury-Wodonga from the afternoon of Friday 26 to Sunday 28 October. It is designed to take participants through the essential steps to propel their business ideas forward.Director of Knowledge Exchange and Engagement in the CSU Research Office, Dr Laura Dan, said the initiative builds on the University’s long-term strategic commitment to the growth and development in the regions and communities across NSW.“The Charles Sturt University innovation agenda supports the development of an entrepreneurial ecosystem across its footprint, encourages interaction between small to medium-sized enterprises (SMEs) and the University, supports business innovation, and encourages jobs growth in the region.“We were delighted to sponsor the Hume Bank Life Tech Challenge by providing access to the innovation boot camp, which is based on the successful CenWest Innovate model developed by the University.”CSU has established three highly focussed incubators: the AgriTech Incubator in Wagga Wagga; CenWest Innovate in Bathurst; and the Walan Mayinygu Indigenous Entrepreneurship Pop Up Hub Program.“Through these programs, Charles Sturt University provides tailored programs and technical support for growth, as well as business networking and training events which will be facilitated at a number of the University’s campus locations around NSW,” Dr Dan concluded.Event details:When: Friday 26 October from 6 to 8pm, Saturday 27 October from 9am to 5pm, and Sunday 28 October from 9am to 2pm.Venue: Building 751, Room 112, CSU in Albury-Wodonga, off Elizabeth Mitchell Drive, Thurgoona (park in Carpark P2). In their final activity at Charles Sturt University (CSU), fourth year students will explore the possibilities of their new careers as occupational therapists in a two day conference starting Wednesday 24 October at CSU in Albury-Wodonga.The CSU students will present papers on contemporary practice issues relevant to the provision of occupational therapy services to regional, rural and remote communities with a specific focus on Indigenous Australian people.In her final year of the occupational therapy course, student Ms Gemma Wall hailed the conference initiative as an excellent way to showcase how far the students had progressed after four years of university study.“During my course I learned much about the importance of culturally competent care and the impact this can have on improving health outcomes when working with culturally diverse clients such as Aboriginal and Torres Strait Islander people,” Ms Wall said.In her conference presentation, Ms Wall is considering how to successfully implement a culturally sensitive self-management program for stroke rehabilitation in an Indigenous Australian community.Ms Wall will draw from the Best Evidence for Stroke Therapy study being conducted at CSU in partnership with Albury Wodonga Health and Wagga Wagga Base Hospital.Fellow student Ms Rachel Ralph said the conference was particularly relevant as new national standards for cultural competency in occupational therapy become effective in January 2019.“The conference is important as it allows us to educate each other on how we can better our practice with Indigenous people,” Ms Ralph said.Discipline Lead of the occupational therapy program in the CSU School of Community Health, Dr Tracey Parnell, said the conference allowed students to demonstrate what they had learned from their studies, and the intellectual rigour they can offer to the health of regional, rural and Indigenous Australians.“The conference is the culmination of the four year course for these students. It provides an opportunity for them to show the breadth and depth of their knowledge in various areas of contemporary practice.”“This year we also challenged the students to examine their chosen topic in relation to Indigenous Australians.”Dr Parnell will welcome participants and students to the conference from 8.30 am on Wednesday 24 October at Room 101, Building 667 at CSU in Albury-Wodonga, Broomfield Court, Thurgoona.The 26 student presentations include:* Addressing Indigenous health inequality and the role of occupational health in ‘closing the gap’;* Ageing in place in Indigenous Australian communities;* The mental health implication of leaving the land;* Challenges in accessing stroke rehabilitation in rural and remote areas; and* Chronic pain and its impact on mental health.The conference will be closed after 2pm on Thursday 25 October by the Head of the School of Community Health, Associate Professor Michael Curtin. The event coincides with national Occupational Therapy Week.